West Ham avoided a potential banana skin in their FA Cup third round clash against Birmingham City at the weekend, beating the Championship side 2-0 at the London Stadium. Goals from Marko Arnautovic and Andy Carroll saw the Hammers seal their spot in the fourth round of the cup but many were left discussing the impressive performance of their latest decision, with some taken aback by his display. 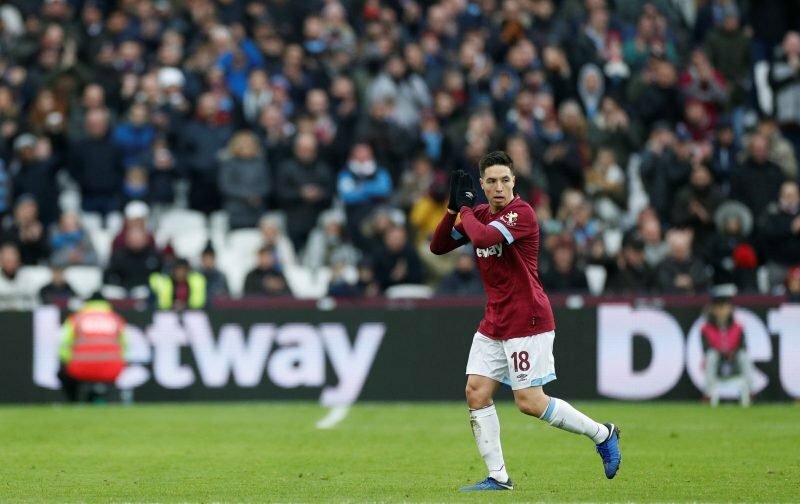 Samir Nasri signed for the Hammers on a free transfer this month after spending 13 months away from football and quickly caught the eye on his debut, which gives him a good chance of featuring against Arsenal this weekend – the side that first brought him to English football. With Nasri joining a squad that already boasts the talents of Felipe Anderson, Robert Snodgrass and Michail Antonio, the Hammers have a plethora of decent options in the wide positions and it could lead to a successful campaign. We have gathered some of the comments from fans on Nasri’s debut below. Solid, has some nice link up play and passing with arnie. Well played today Sami, looking forward to seeing you for the rest of the season???????? Looked sharper than I thought he would. Would be a good test for him next week if he starts. He looked sharper and fitter than Carroll. I thought he played well. Next week against Arsenal would be a better test. Cant see him starting.